Visit Father Christmas in the Ironstone cottage. £5 per child to talk to Father Christmas and receive a gift. £2 to have a photograph taken with him. 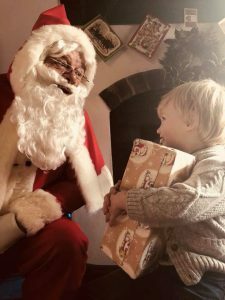 (Please note as we only open 1pm-4pm on Sundays the Grotto is only open 1.30pm-3.30pm.) On December 21 and 22 the Grotto will be open 11am-2pm.